Tricksters is back again with a latest trick to buy the Reliance Jio sim free of cost for free and also for the rooted and non rooted device. I think that many of our friend know about Reliance Jio but many are not. So first I am describing here what is Reliance Jio. 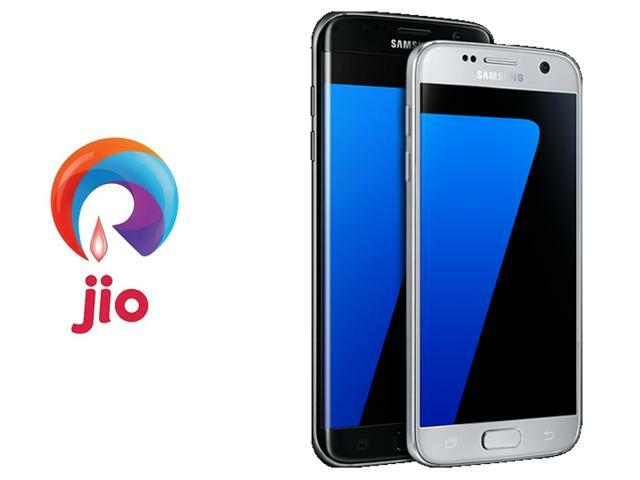 Jio, also known as Reliance Jio and officially as Reliance Jio Infocomm Limited (RJIL),Reliance Jio an upcoming provider of mobile telephony, broadband services, and digital services in India. Formerly known as Infotel Broadband Services Limited, Jio will provide 4G services on a pan-India level using LTE technology. The services were beta launched to Jio’s partners and employees on 27 December 2015 on the eve of 83rd birth anniversary of late Dhirubhai Ambani, founder of Reliance Industries. It will commercially launch its services in the second half of 2016. Jio empowered the group employees, who had got the trial SIM earlier, to bring 10 more people to the 4G network through a referral invite system. The invite, which has to be sent by a RIL employee,will allow people to buy a LYF phone, which will come bundled with free unlimited 4G data and voice for three months. 2. Install and open the app and you will see a list of 10 more Jio apps. You have to download all of them.So start downloading them one by one. and Disconnect Internet (Mobile Internet or Wifi). beside My Jio app option. Just click Open . 5.Now it will generate a unique code and barcode scanner image and automatically saves it to your gallery (/DCIM/Camera). 6.Click on next button and follow the instructions and finally click on done. Now go to nearby “Reliance Digital Express Mini” store and ask them for a Jio sim on Samsung offer and tell them you have a code. 7.Normally they won’t ask for any bills or device and even if they do you just tell them that you lost your bill or you sister took her device to college respectively. 8.Now give them 2 copy of Adhaar or Voter id card and 2 photos. And that’s it now he will give you your s card and it will be activated within 2 or 4 hours. 9.Now insert that sim on the device from which you generated that barcode and also make sure that you have the same build.prop and imei number that you used while generating barcode. Now open MyJio app and install all the 4 apps shown there. 10.Actually you just need to click on submit and it will download all the 4 apps for you and soon after you download all the four apps your unlimited pack will be activated. 11.For all those who are unable to make calls or use data or unable to tele verify your jio sim then install “Myjio” & “Jio Join” apps so after installing both of these apps it should work! • An rooted device with xposed installer and imei changer installed. 1. Download and open imei changer and activate that app in xposed module. Replace all the *’s with any 7 digit number and click on apply. Now in the build.prop edit(rename) the following things. And leave all the other things as it is and save the build.prop file and restart your device. 4.Now download or open Myjio app (If you already installed myjio app…? Make sure you clear its app data before opening it). 5.If everything set properly you can find a scrolling banner inside app ( Directly not open the app when the banner will appear ). 7.Now it will generate a unique code and barcode scanner image and automatically saves it to your gallery (/DCIM/Camera). 8.Click on next button and follow the instructions and finally click on done. 9.Normally they won’t ask for any bills or device and even if they do you just tell them that you lost your bill or you sister took her device to college respectively. 10.Now give them 2 copy of Adhaar or Voter id card and 2 photos. 11.Now insert that sim on the device from which you generated that barcode and also make sure that you have the same build.prop and imei number that you used while generating barcode. 12.Actually you just need to click on submit and it will download all the 4 apps for you and soon after you download all the four apps your unlimited pack will be activated. 13.For all those who are unable to make calls or use data or unable to tele verify your jio sim then install “Myjio” & “Jio Join” apps so after installing both of these apps it should work!